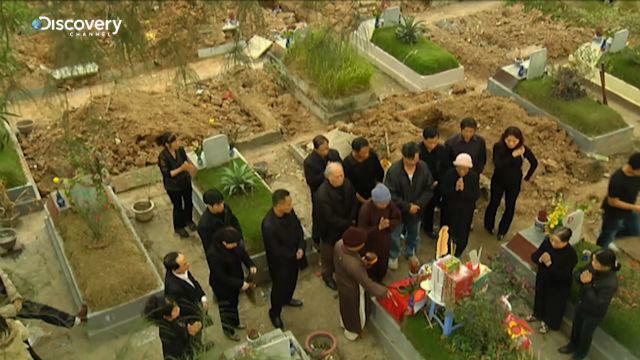 At Van Dien Cemetery, Hanoi’s largest burial ground, Mrs Mai and her family gather at the grave of her father-in-law. It’s not his death that brings them together, but his reburial. They are fulfilling his wish to be buried not once, but twice. Powered by the belief that a reburial will help the deceased reach the next world, the family begins to undertake this challenging journey. 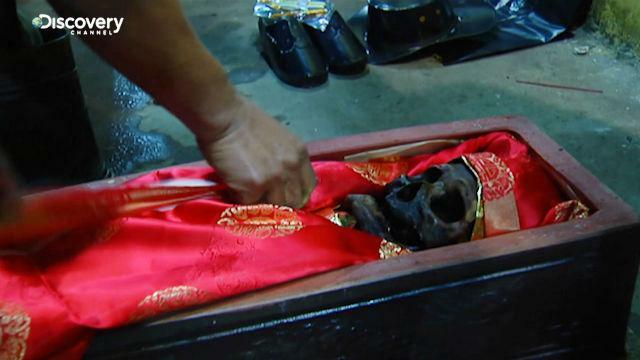 Believed to originate from Southern China, the reburial process spread to the Kinh tribe in Northern Vietnam. 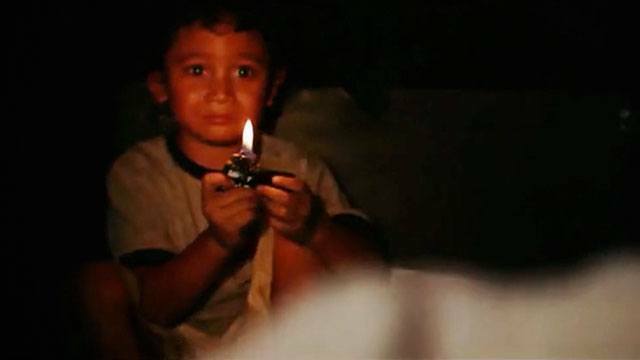 It is a duty the next-of-kin is expected to fulfil and said to bring luck and health to those who do. It begins with a prayer ceremony, with food and paper money offerings. After, gravediggers will dig up the grave, collect and carefully clean each bone, and rearrange them in a new coffin. 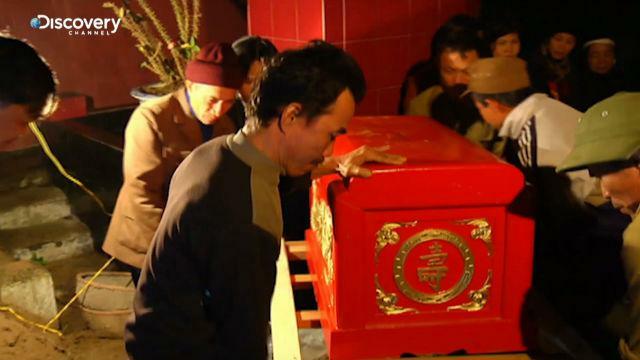 The coffin will then be transported to the final resting place, usually the birthplace of the deceased. This painfully laborious ceremony clocks in at over 12 hours in total. And that doesn’t include the pre-ritual mental and physical preparation! A body is exhumed after three years, but families can’t merely rely on a calendar. They also need to consult the heavens and seek permission from the deceased. Using the services of an astrologer, Mrs Mai had first to find an auspicious date and time where the reburial of her in-law can happen. The astrologer also serves as a bridge between the living and the dead by performing a simple ceremony to determine if the body is sufficiently decomposed and ready to be dug up. 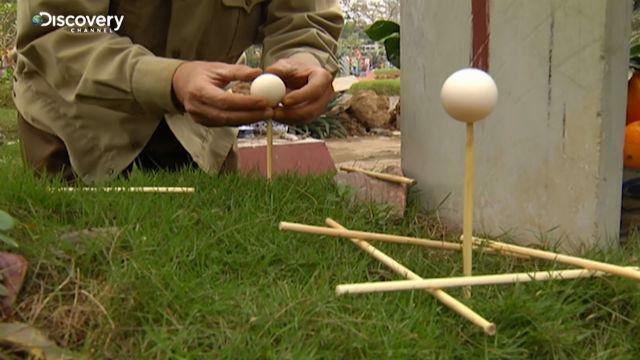 Through a symbolic ritual with eggs and chopsticks – the embryo of a chicken egg is believed to hold a connection with the decomposed body – answers to these questions can be found via the success of the eggs balancing on chopsticks. 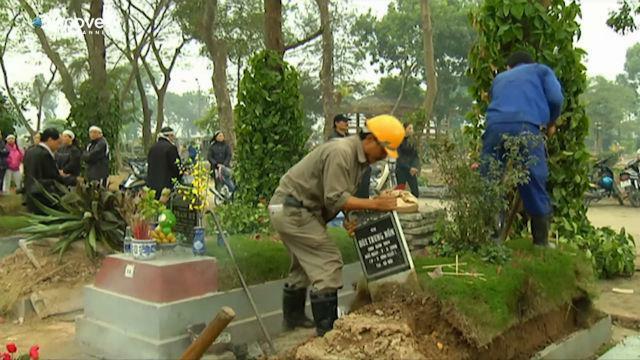 Digging up the dead is an emotional and painful time for relatives. Wounds that have barely healed crack upon with the reopening of the coffin. Not surprisingly, the intensive process is falling out of favour with modern Vietnamese. Cremation is now a more convenient, cheaper option – one that only lasts a total of 30 minutes. With Van Dien Cemetery earmarked for closure, there are plans to turn the city grounds into a park. Where does this leave the professional grave diggers like Mr Luoung who have spent over 30 years being the catalyst between the living and the dead? He’s not sure. But he’ll die peacefully and honourably in having performed what he deems as a public service. 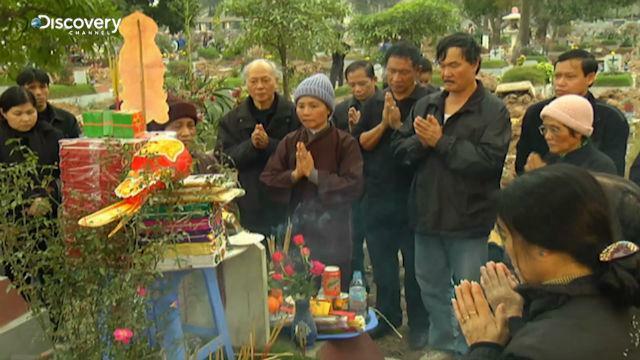 ‘Digging Up The Dead’ is part of First-Time Filmmakers Vietnam, a documentary channel on Viddsee by Discovery Channel. Check out the rest in the series, Nanjing Calling, Singapore Stories, and Super Japan. He Was Old Enough To Be Her Father. But She Loved Him. She Loved Her Mother. He Loved His Daughter More.